Securities Enforcement Forum 2017 was held October 26, 2017 at the Mayflower Hotel in Washington, D.C. The event was a full day of extraordinary keynotes and panels, including a Keynote by SEC Co-Director of Enforcement Stephanie Avakian. It also featured eight terrific panels featuring senior government officials and over three dozen other leading securities enforcement attorneys and other professionals in the field. 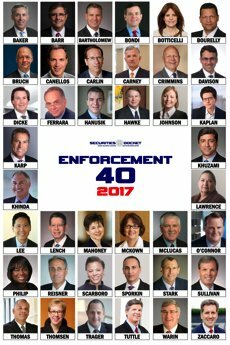 Securities Enforcement Forum 2017 brought together hundreds of current and former senior SEC and DOJ officials, securities enforcement and white-collar attorneys, in-house counsel and compliance executives, and other top professionals. Check out the display below with some great photos from this year’s conference. See you next year!